McDonalds near Sahara and Rainbow has giant Fries and Soda! 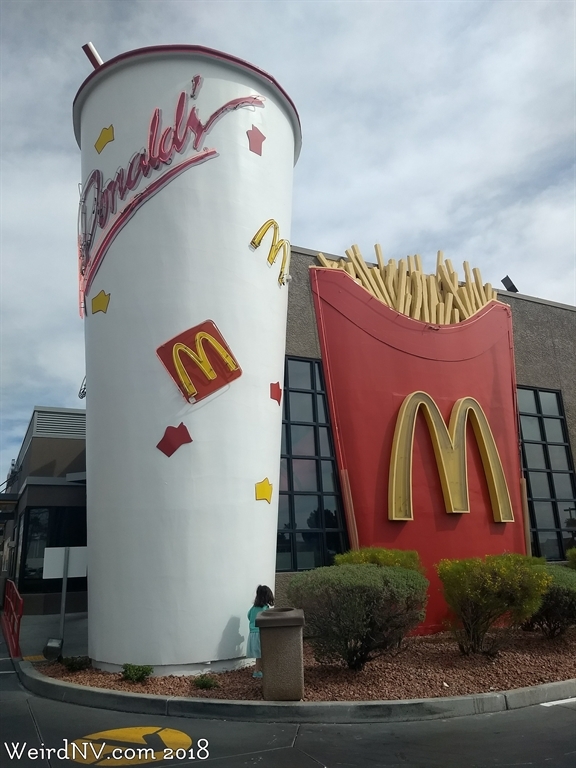 Northwest of the Strip in Las Vegas, near the corner of Sahara and Rainbow, a McDonalds exists with a gigantic soda cup (perhaps a milkshake) and a gigantic box of french fries! The french fries are as tall as the building and the soda cup is even taller, with the straw extending out beyond that. No idea why there's no giant burger to go along with this meal. The exit for the drive thru wraps around the giant soda. Las Vegas also plays host to a fairly large entire burger meal, complete with cheeseburger, soda, and fries.